This design was inspired by a motif I found on an old ceramic tile. 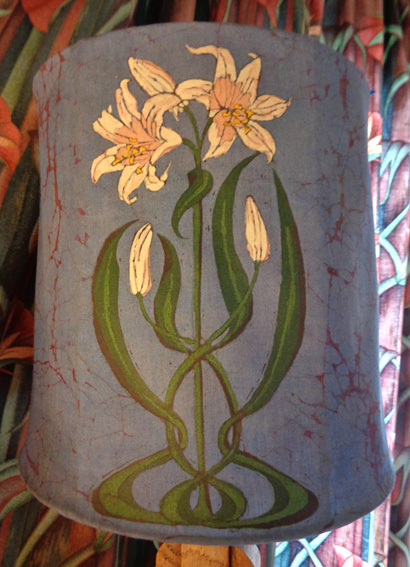 I have had fun with the classic art nouveau style whiplash curves in the leaves of this lily, shown on the front panel of the shade. The soft blue/grey background around the rest of the shade has a beautiful deep pink marble texture, made by cracking the wax and working the dye into the cracks.